Tommy McGibney ventures up Slieve Beagh, visiting Monaghan’s remote but beautiful County High Point. One of the great things about highpointeering is the fact that it continually attracts me to places I otherwise would never have dreamed of visiting. 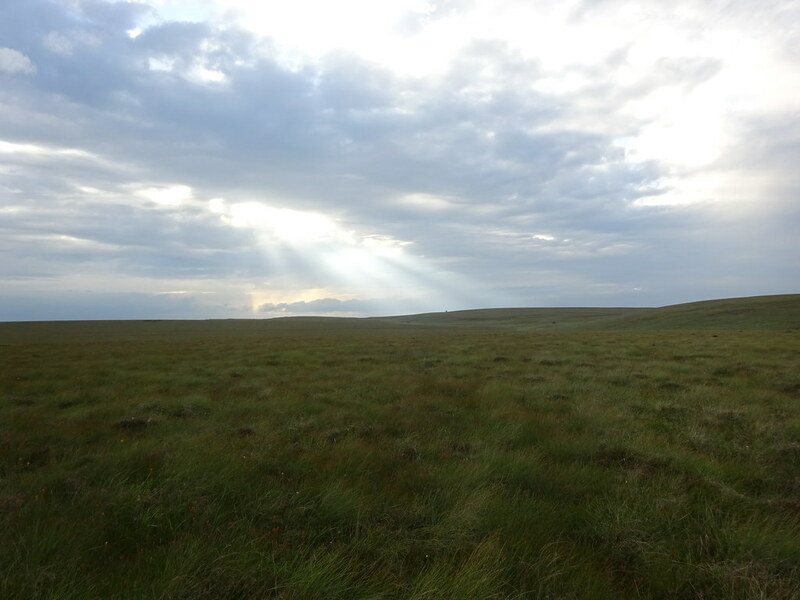 The wild moorland plateau of Slieve Beagh, which straddles counties Monaghan, Tyrone and Fermanagh, is a case in point. Slieve Beagh is probably most notable for its East Top summit at 373m being the county summit of Co. Monaghan, but I guess its isolation and lack of stunning scenery has made it one of the least visited of Ireland’s county high points. Wishing to take advantage of the current exceptionally dry ground conditions, I made my way to Slieve Beagh on an overcast but dry evening last week. Using OSI Discovery Series Map 28A and taking cues from Kieron Gribbon’s Ireland’s County High Points book and the MountainViews website, I started from a car parking area near Eshnaglogh, north of Knockatallon, Co. Monaghan. To my surprise, my car SatNav recognised Eshnaglogh and directed to the starting point without any difficulty. I started walking at 7.30pm, advancing towards the mountain itself via a tarred lane, protected by an electric gate and stile. The lane brought me past lonely Lough Antraicer and then alongside open moorland. The route to the East Top summit required me to take a left turn onto a faint older track. I naively missed this turn and walked onwards for a few hundred metres before deciding to cut across the peaty moorland aiming to walk more or less parallel to the recommended track. I found this part of the walk hugely enjoyable, and the going much lighter than I had feared. 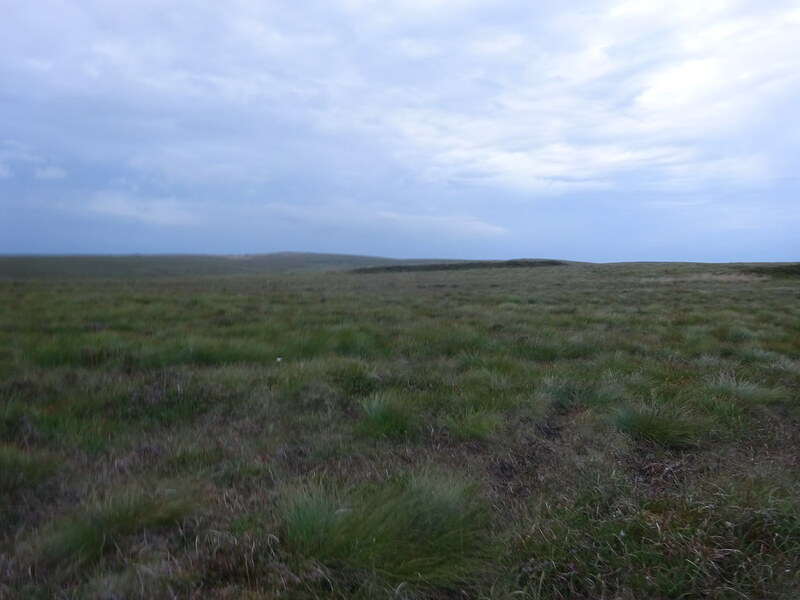 The slight breeze was refreshing, the grass and bilberry-decorated heather underfoot were short and the generally flat surface itself unsurprisingly – and I assume untypically – dry. This all made for speedy progress. So speedy that by the time I checked my bearings, I discovered that I had walked a few hundred metres northwards beyond my target of Slieve Beagh East Top beside tiny Lough Sallagh. This prompted me to instead make for the Slieve Beagh summit proper (380m), which I reached without undue difficulty. On reaching the summit, only a small hillock on the grassy plain, I took a short breather and logged my location on the PeakHunter app before turning back towards the East Top. This relatively short stretch was the most awkward of the entire walk and the combination of the long heather and occasional minor holes in the boggy surface meant I had to watch my steps carefully. 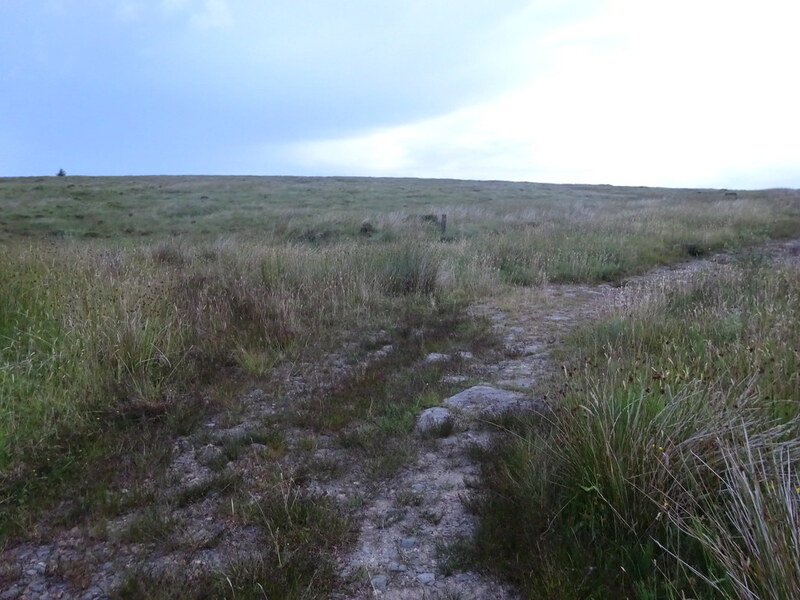 A minor incline onto another small hillock brought me to Slieve Beagh East Top, the county high point of Monaghan. I figured that at some undetermined point or points I had just crossed the international border from Tyrone and possibly Fermanagh into Co. Monaghan. Again I logged this high point on PeakHunter and headed back roughly parallel to the route I had initially taken. After passing a few peat mounds apparently used in the past for drying turf, I soon found a rough track leading eventually onto the lane from which I started. Despite a few short drops of rain, the soft twilight made for an enchanting end to my walk and I was back at my car safely at approx. 9.50pm. All in all, a wonderful walk and one that exceeded my expectations. I’d recommend a Slieve Beagh trek to anyone, although it will be rarely as dry as when I experienced it, and the vast scale and relative featurelessness of the plain means that navigation could be an issue in poor visibility. On the ‘To Do’ list Tommy. Beautiful post. Keep it up. Great write up. It is unreal how dry some of the normally wet areas are right now.